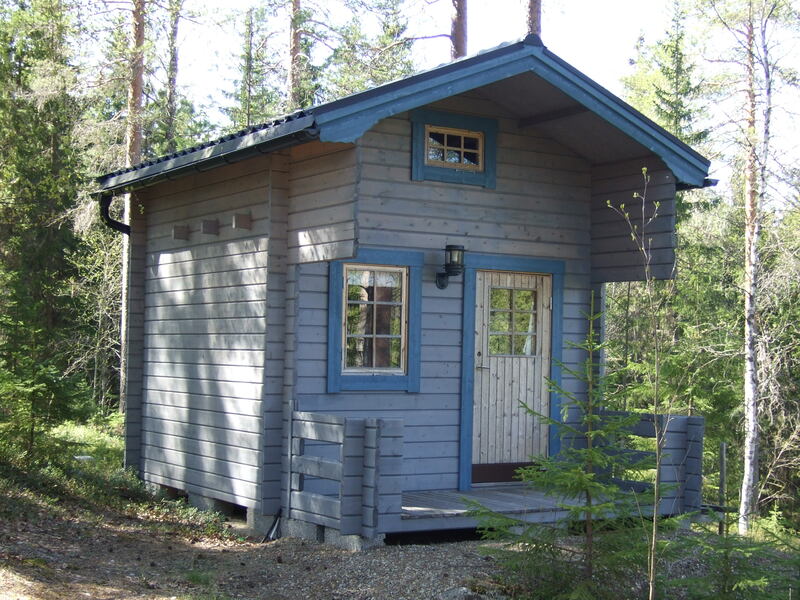 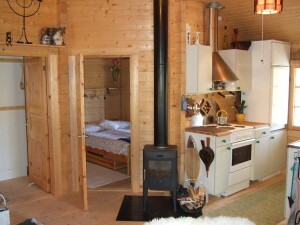 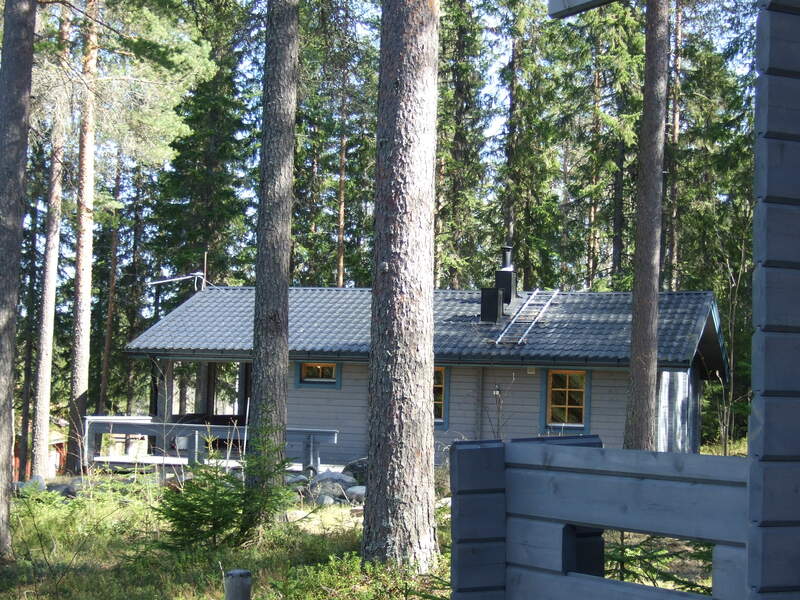 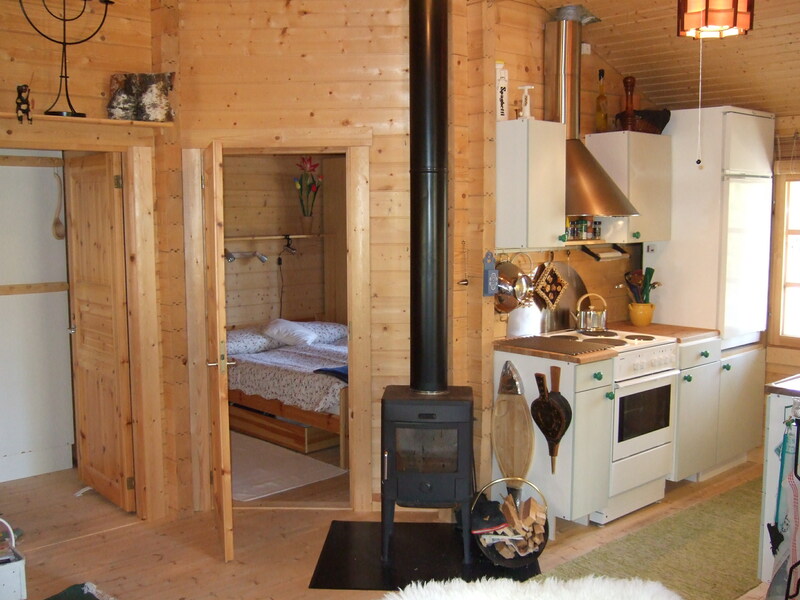 We offer a cozy, well equipped log cabin at 51 square meters with a year-round standard among pines and blueberries. 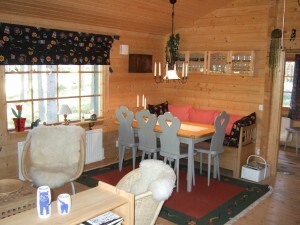 Living room with fireplace, dining area, sleeper sofa, 40″ flatscreen-TV, DVD and stereo. 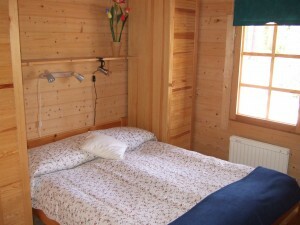 Bedroom 1 with double motorbed (2x90cm), wardrobe and work bench. 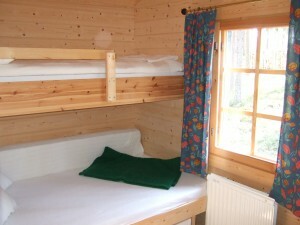 Bedroom 2 with bunk beds (lower bed 140cm) and double wardrobe. 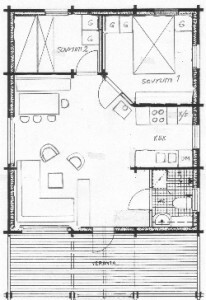 Kitchen area with stove, fridge, freezer, dishwasher, microwave, coffee maker and good china and glassware. 16 sqm veranda with roof and a covered terrace/sun deck. 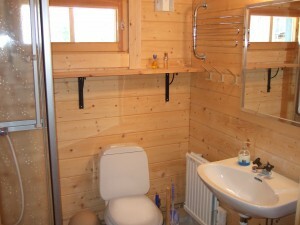 Other: Broadband/Wi-Fi 100 Mbps. Loft cottage with 4 beds can be rented during the summer. Cot and highchair available. 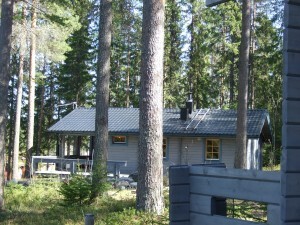 Bicycles can be borrowed free of charge. Bed linen and towels are available for rent.